Thank you for such a great product and service. Attached are a few pictures of the project I was working on. The wagon came out great. 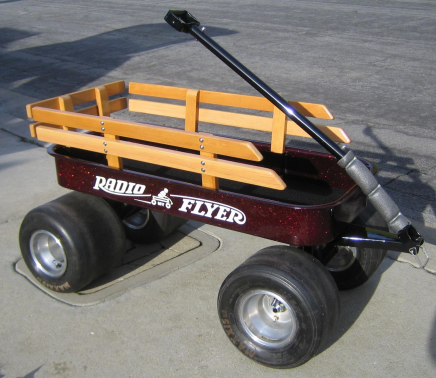 This metal flake paint job on this apple red Radio Flyer Wagon looks super tough and with this Apple Red metal flake paint job, is about the coolest wagon we have ever seen.